Last weekend, sat on the porch in Wellington with family that we were visiting. Imagine my surprise when hearing the unmistakeable sound of an OM352 diesel and big tyres driving into the complex! Seen in Somerset West. No Chevron or reflective tape. Not a Unimog, but the big brother of the Unimog - Actros 3650. Imagine the camper you can build on this beast! With 500hp and 2700Nm torque this beast can do some work. Yip, that 16L V8 is sweet! New 6 Is even sweeter! Jurassic Mog at the plant in Wörth . 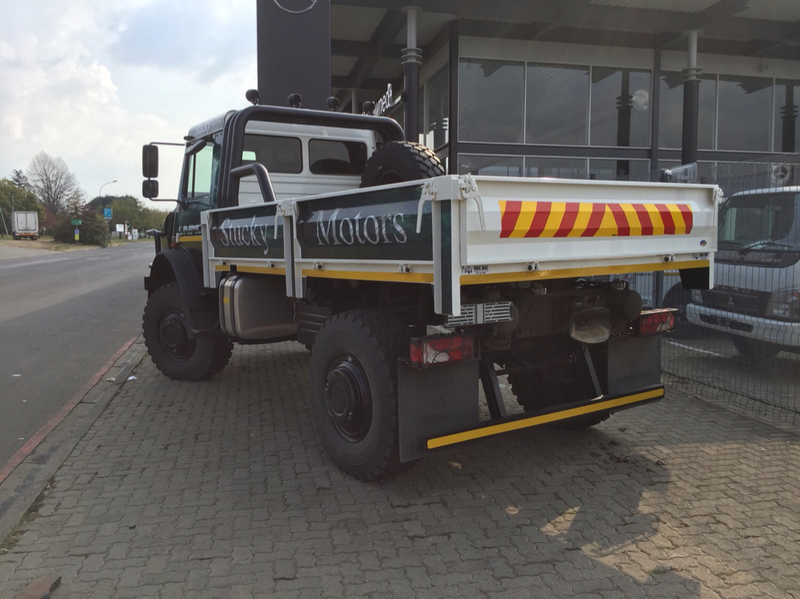 Spotted this mog in Standerton, it has MogDoc stickers on the bin. 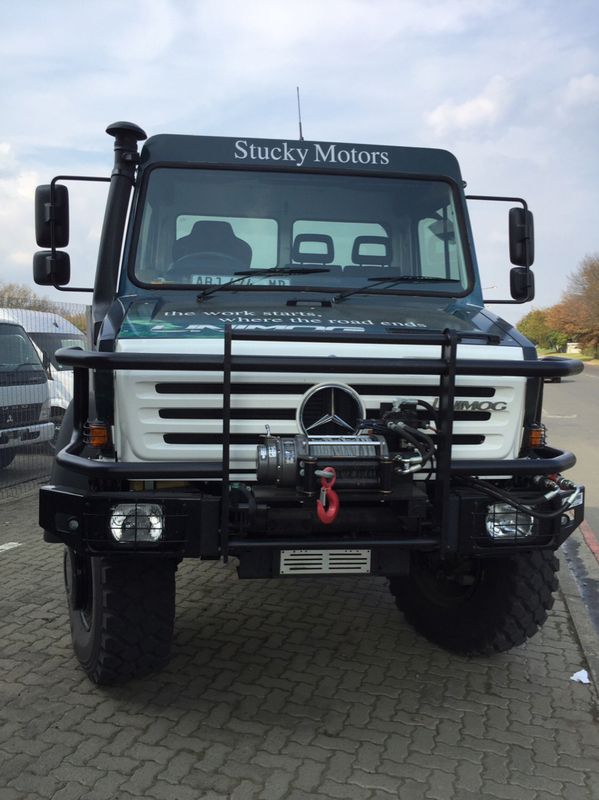 Stucky Motors has the MB agency in Standerton, Newcastle and Piet Retief if I am not mistaken, and Rainer Stucky is or was the owner of a very neat 240GD cabrio some years ago. I see the toys have got bigger! Vryheid also has Stucky Motors, not sure if it is the same owner? I wonder if he still has his 240. Saw this beauty in Windhoek this weekend. Just beat me in the slow race: Is slightly slower than my 1948 Fargo Power Wagon in 1st low range at idle speed. 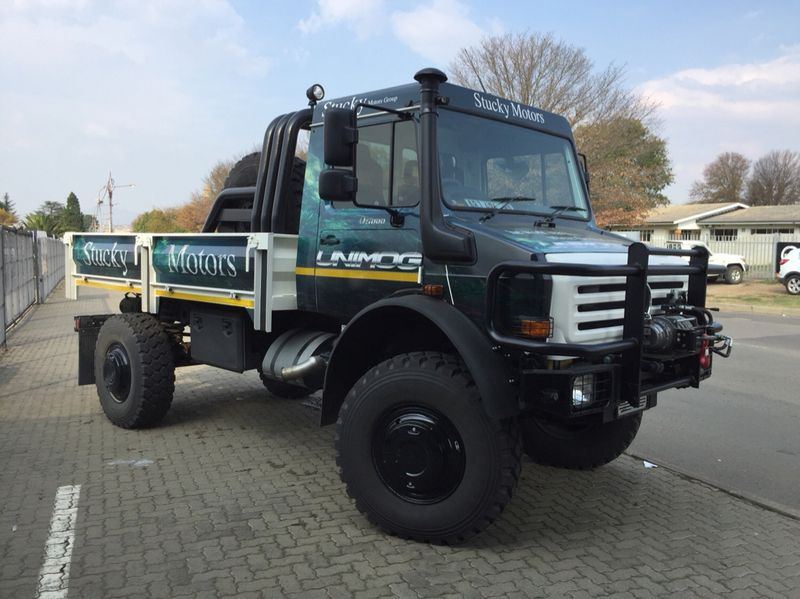 I am sure the Mog will also beat the Power Wagon in the fuel consumption category too! What is the top speed of the Power Wagon? "Speed never to be exceeded: 55 mph" Fuel consumption: between 35 and 40 l/100km during modest on-road use in town. I must admit though, that I told the owner of the 411, that his Unimog would be the only old vehicle in the crowd, that I would swap for the PW. "Fuel consumption: between 35 and 40 l/100km during modest on-road use in town. " Gosh, it must have a simple tap in place of a carburettor! Just kidding. I must admit the looks always fascinated me too. if you don't mind, may we see a photo? It really is a beautiful brute! I could also get mesmerised by its looks. I think you have done very well Rolf! Good luck with the remaining 80% !! I suspect some exceptional engineering was done here. Spotted this beaut at MB headoffice yesterday. Brand new demo model. But before you can do that, you would probably have to mortgage the farm and with the prospect of the farm being taken away I don't see a huge market currently. But it is a beaut.